Introducing The Cut on Tuesdays, a new podcast from New York Magazine ’s and Gimlet Media. It’s a show about being a woman in the world, about how weird and messy and laugh-until-milk-comes-out-your-nose funny that can be.&nbsp; In this episode, host Molly Fischer investigates: what’s going on with pubic hair these days?&nbsp; You can find more from The Cut on Tuesdays every week, wherever you get your podcasts. What's it going to take to actually get us to Mars? Plus, what to do once you’ve listened to every episode of The Habitat . 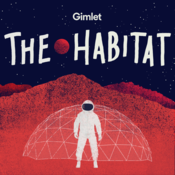 The Habitat is a production of Gimlet Media. It’s produced by Lynn Levy, Peter Bresnan, and Megan Tan. Our editors are Alex Blumberg, Jorge Just, Caitlin Kenney, and Blythe Terrell. Music and sound design by Haley Shaw. Mixing by Catherine Anderson. Music supervision by Matthew Boll. 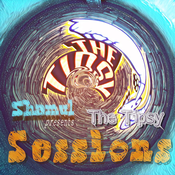 Our credits music in this episode is performed by Sammy Miller and the Congregation, and written by David Bowie. Find the NASA audio archive here: . The crew comes back to Earth. The Habitat is a production of Gimlet Media. It’s produced by Lynn Levy, Peter Bresnan, and Megan Tan. Our editors are Alex Blumberg, Jorge Just, Caitlin Kenney, and Blythe Terrell. Additional reporting in this episode by Eric Eddings. Music, sound design, and mixing by Haley Shaw. With help from Bobby Lord. Music supervision by Matthew Boll. Our credits music in this episode is performed by The Weather Station, and written by David Bowie. Our fact checker is Michelle Harris. Thanks to The University of Hawaii at Manoa, thanks to Tristan’s family, Carmel’s family and Lynn's family. Thanks to Dave Ruder. And a very special thanks to the HI-SEAS crew: Andrzej, Christiane, Cyprien, Carmel, Shey, and Tristan. You can listen to the official soundtrack for The Habitat on . The crew opens the hatch. The Habitat is a production of Gimlet Media. It’s produced by Lynn Levy, Peter Bresnan, and Megan Tan. Our editors are Alex Blumberg, Jorge Just, Caitlin Kenney, and Blythe Terrell. Music, sound design, and mixing by Haley Shaw. Music supervision by Matthew Boll. Our credits music in this episode is performed by Pavo Pavo, and written by David Bowie. Our fact checker is Michelle Harris. Thanks to Kaitlin Roberts for her help. And a very special thanks to the HI-SEAS crew: Andrzej, Christiane, Cyprien, Carmel, Shey, and Tristan. To find a list of our sponsors and show-related promo codes, go to . The crew gets pissed. The Habitat is a production of Gimlet Media. It’s produced by Lynn Levy, Peter Bresnan, and Megan Tan. Our editors are Alex Blumberg, Jorge Just, Caitlin Kenney, and Blythe Terrell. Additional reporting in this episode by Eric Eddings. Music, sound design, and mixing by Haley Shaw. Additional music by Alexander Overington. Music supervision by Matthew Boll. Our credits music in this episode is performed by Alba and the Mighty Lions , and written by David Bowie. Our fact checker is Michelle Harris. Thanks to Eric Mennel for all his help. And a very special thanks to the HI-SEAS crew: Andrzej, Christiane, Cyprien, Carmel, Shey, and Tristan. To find a list of our sponsors and show-related promo codes, go to .